Teoni - TOTALLY INTO IT! My role as General Manager is so varied and different daily, and this is something that keeps my passion for the role. I am completing different tasks daily and they can be so varied. From meeting people within the local community wanting help with fundraising, to getting my hands dirty and cleaning cinemas after a sold out movie. My happiest moments at work are when my team and I are working on common goals that we have set for ourselves and we absolutely deliver, those are the best days! My best friend had been working in the cinema for many years and loved it. She saw an opportunity for me to come on board and set up a meeting with her General Manager at the time and we have never looked back! My daughter has just been recruited for the summer at our new Moonlight Cinemas Mount Annan site. The flexibility of the role is so important to me. 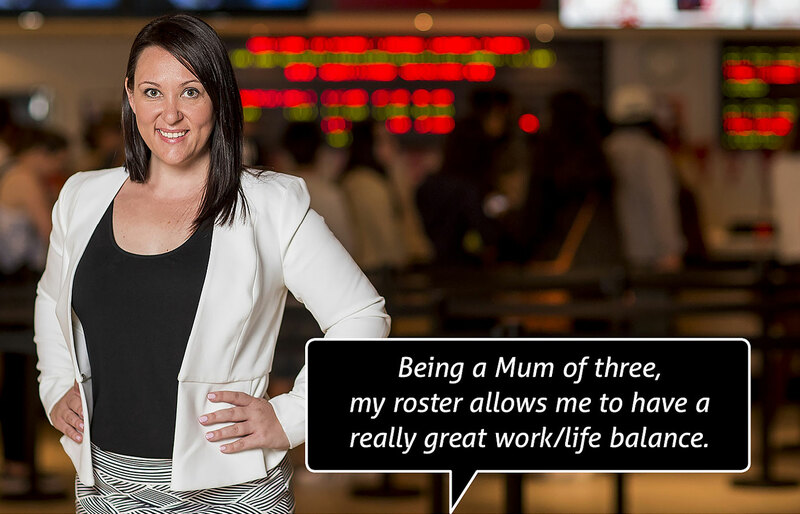 Being a Mum of three, my roster can reflect what is happening in my family life and allows me to have a really great work/life balance. My roles have varied throughout my five years. I first started as a Group Bookings Coordinator with a clear goal of General Manager in mind. I was able to achieve this after three years and I haven’t looked back. Being able to mentor our “newbies” and watch them grow. 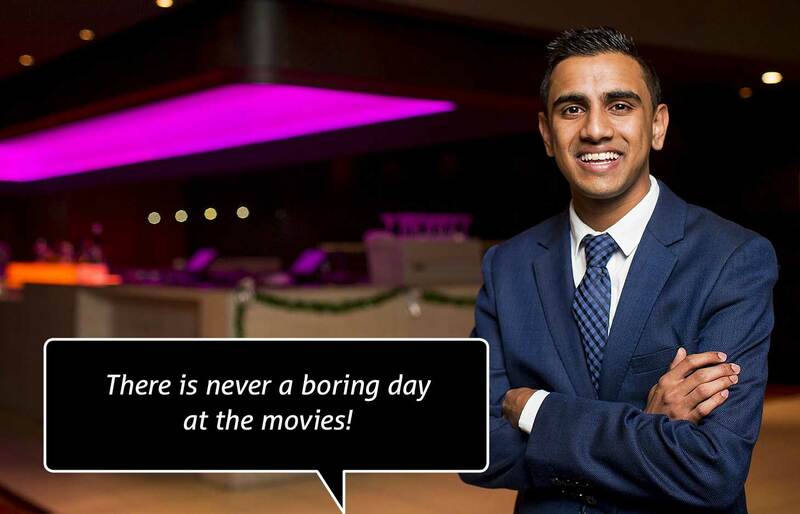 Why do you LIKE working in the Cinema/Entertainment industry? We have the best teams and they become like family! Free movies is also pretty cool. Aussie celebs frequent our cinemas and its always fun to serve them and ask for a cheeky picture. I was lucky enough to meet Zac Effron when he was on the promotional trail for Charlie St Cloud. Best work day ever! Can you bust any Cinema career myths? We DO NOT pop our popcorn during the slow trade and put it in garbage bags ready for our busy times, although its comical reading the “20 things only cinema workers can appreciate” lists on Buzz Feed.